Dr. Amy Berglund was inspired by her grandfather’s healing hands, knowing she wanted to become a chiropractor since the age of ten. “Amy has written all of her English papers on holistic healing, chiropractic medicine and health since the third grade,” states Renee` Berglund (Dr. Amy’s mother). Dr. Amy grew up in an avid outdoor family, spending weekends at the family’s cabin in the Sawtooth Mountains hiking, mountain biking and whitewater rafting. In the winter she grew up skiing at Grand Targhee, cross country skiing and skijoring with her Siberian husky, Loki. Dr. Amy also played tennis as a child, eventually playing for the University of Montana. She has taken extensive training in Sports Medicine to advance her career. She has earned her Certified Chiropractic Sports Physician degree (CCSP) in 2013 and went on to complete her Diplomate in Sports Medicine in 2014. Most recently, (2015) she completed her International Chiropractic Sports Physician course work. These extra certifications have allowed her to travel as a Board Certified Chiropractic Sports Physician. In 2015 she traveled to Granada, Spain to work with the US Delegation at the World University Games. 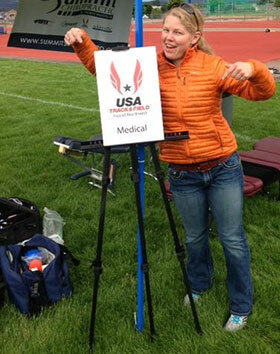 Dr. Amy was the only US Chiropractor to travel with Team USA. 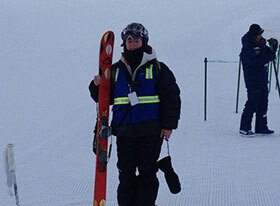 She has had the opportunity to complete two rotation at the Olympic Training Center in Lake Placid, NY. While at the OTC she was able treat the Winter Olympians (2014/2016). She has also worked two seasons winter Dew Tour (2013/2014) in Breckenridge, CO. She was one of six chiropractors in the nation to work on this Olympic Qualifying event for Slope Style and Superpipe. 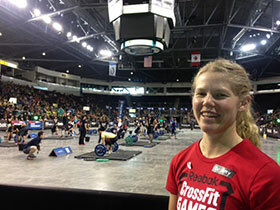 Dr. Amy has also worked for USA Track and Field at the Inland Northwest Junior Olympics (2013) and at the Northwest CrossFit Regional Championships that was held in Seattle, WA (2013). Although Dr. Amy does have a passion for Sports Medicine, she treats family members of all ages. She will often be seen adjusting toddlers, expecting mothers, retirees and everyone in-between. “She always makes me feel like the most important patient she’s ever treated,” states a local patient. If you have any questions or would like to learn more about chiropractic care at Active Care Family Chiropractic, please call us at (406) 777-1048 today!